We recently hosted the 3rd edition of 'Celebrating India's Finest', an evening recognizing winners of the 'Indian Wine Consumer Choice Awards', 2015 at Le Pain Quotidien, Colaba on June 13, 2015. This celebratory evening was in honour of the winners of the 3rd edition of the Indian Wine Consumer's Choice Awards held at the Sofitel BKC earlier this year. A pool of over 100 wine enthusiasts came together to evaluate premium Indian wines and create a list of their favourites through an unbiased blind tasting technique. 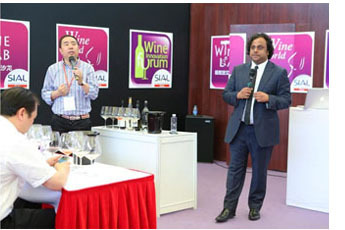 We're proud to announce that Nikhil Agarwal was invited to SIAL China this May to represent the Indian wine industry at Asia's largest food and drink show in the company of international wine buyers, wine producers and international media. Nikhil conducted a seminar on the growth of the Indian wine market, insigths into the Indian consumer, the Indian wine industry as a whole as well as the scope for international wine in India. 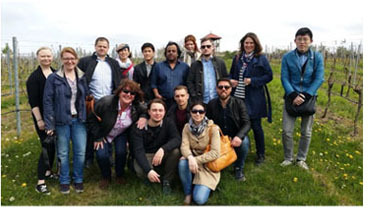 The audience of international wine buyers were guided through a tasting of a selection of Indian wine.They sampled wine from Charosa Vineyards, Grover Zampa, Vallonne Vineyards and Myra Vineyards. 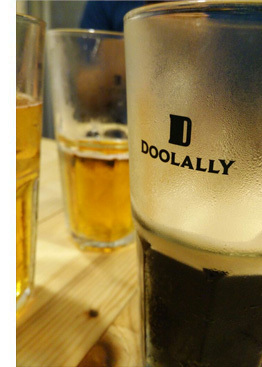 Here is Nikhil's take on Bandra's newest brew pub - Doolally Taproom. I along with thousands of others seem to be immediately hooked. I'd probably go as far as saying we are addicted to Doolally. Who can blame u? It's located in a nice quite street in Bandra, it's very casual, always has a buzz, the beer is truly unbelievable, the grub is good and the price offers incredible value for money. Rs 250 for 330ml glass of world class beer just feels so right. Since it opened I find myself dreaming about their beers and land up visiting on average of at least thrice a week. Sometimes it's just for 2 quick pints. Sometimes it's just because I've got off the sea link on my way home in the evening . I've even got one of the member mugs with my name on it. On landing at Frankfurt we were whisked off to Weisbaden about 30 to 45 minutes away by road. This is a small town in the centre of Germany's wine producing region of Rheinghau. Wiesbaden is a very rich town. In 2005 legendary Malt Master David Steward of William Grant & Sons decided to create the world's first triple malt combining single malts from three of Speyside's finest distilleries. The whiskey Monkey Shoulder is a mix of single malts from Kininvie, together with single malts from Balvenie and Glenfiddich distilleries, both owned by William Grant & Sons. 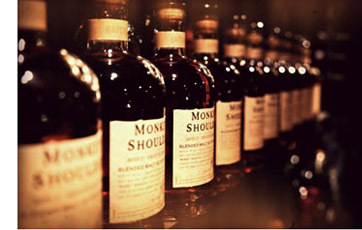 The term 'Monkey Shoulder' has a bit of whiskey heritage. It's a reference to a condition that maltmen sometimes pick up while working long shifts, turning barley by hand.